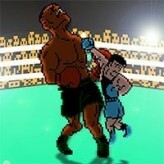 Mike Tyson's Punch Out or more commonly known simply as Punch-Out!! is a boxing sports fighting video game for the Nintendo Entertainment System (NES) featuring the legendary boxer Mike Tyson. The game was developed and published by Nintendo back in 1987 and is a part of the Punch-Out!! series. You must play the role of the main protagonist known as Little Mac and your goal is to fight your way up through the ranks. Become the next World Boxing Champion and get a chance to step inside the ring of the legend himself! Perform uppercuts, jabs, and time your heart counter! Punch, block, evade, and knock your opponent out in this fun and classic boxing video game! Mike Tyson's Punch Out is an online NES game that you can play at Emulator Online. This free Nintendo game is the United States of America region version for the USA. 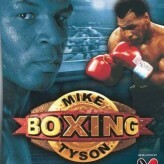 Mike Tyson's Punch Out is a single title from the many arcade games, action games and mike tyson games offered for this console. If you enjoyed playing this, then you can find similar games in the nes games category. Mike Tyson's Punch Out game is from the various retro games on the site, and there are more games like this, including Mike Tyson Boxing, Super Punch-Out!! and Dragonball GT: Final Bout.